Slices, forehands, backhands, cross-court, down the line, drop shots and so many others. All of the great tennis players have learned to master each of these shots to create a true all-around game. While you can have your own strengths and weaknesses, it is important to always have an extra weapon in your arsenal. For young players, I recommend to avoid becoming overly complacent. One dominant shot may be able to win games at lower levels, but as you get older, the game gets more and more technical. Of the shots listed above, one that is about important as any is the drop shot. The reason why it’s so important to master is a result of the efficiency needed to master it. A poorly hit drop shot can easily lose the point in an instant. Likewise, a correctly executed drop shot will likely finish the point in your favor pretty quick. The reason I say this is a shot needed at all levels is because anyone can learn it. Whether you’re a junior just learning the game or an older recreational player, it is a fun shot to practice. Some shots in tennis require an individual to be of a certain size to effectively hit. By this, I mean they require more forearm strength or power in general to utilize. This is not at all the case with a drop shot. 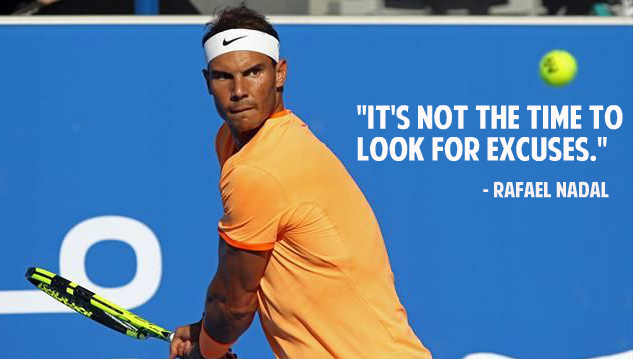 The drop shot is all about tactics. It isn’t something you’ll repeatedly hit, but when you do, you’ll need to make sure everything from the preparation to the grip to the follow through is correct! With any shot in tennis, I recommend you evaluate your opponent first. A player that moves well may require you to add a little power to get a winner past them. Similarly, when opposing someone that’s not as fleet-of-foot, it may be wise to try a drop shot. Slower players are typically going to be ones that rely on power for their game. They want to hit a big serve and end the point quickly. Assuming you’re able to return the initial serve and get in a little bit of a rally, the drop shot then comes into play. As you keep them behind the baseline, you’ll eventually be able to bust out the drop shot. Although I’ll break down the basics of the shot itself, the reason why it is so effective in these situations is because it keeps the opposition off-balance. They are not quick enough to rush in and return it. In the cases where they do manage to get it back over the net, you have all of that court to hit an easy lob for the point. There are two primary grips capable of being used when hitting a drop shot. Both of these are hit with an open racket face. The first of these is an Eastern Grip. This grip is often most comfortable for beginners, due to the ease of it. Additionally, I encourage players to employ the Eastern Grip for forehand shots. It is not designed to withstand longer rallies, but does allow for a timeless transition to the second grip, Continental, which is an effective backhand tool. In order to understand the grips, you need to look at the bottom of your racket like an octagon, with 8 bevels. The top is termed “1” and they continue clockwise going up to “8.” The palm side of the index finger’s knuckle will be placed on the “3” for righties or “7” for lefties with an Eastern Grip. It should and will feel like a normal grip. Conversely, with the Continental Grip, you’ll want your hands in a manner that can create enough backspin to get the ball over the net. Hence, you’ll have that base knuckle of the index finger on bevel “2.” In addition to using it for backhand drop shots, it can be utilized for volleys and hits closer to the net as well. With hitting the drop shot, you’ll want to make a softer swing than a traditional groundstroke. The point of contact should be at waist level. In total, the swing will start high before coming closer to the waist level. With a small bend of your elbow, this will give the ball enough air to get over the net while preventing a high bounce on the other side. This swing pattern creates backspin that essentially takes velocity off the shot. Once you’ve hit the ball, the follow through should maintain this open racket face. In actuality, there shouldn’t be much of a follow through at all. The goal of an effective drop shot is take all the speed off the ball. If you put together a strong follow through, this can completely alter the goal. As you could probably tell in this explanation, the drop shot does have many interlocking concepts with a standard volley. With this being the case, it can be helpful to study both. This video from Cosmin Miholca on CoachTube provides some helpful information on the volleying side of it. As is the case with any shot, you need to be ready for the return. Although the primary mission of the drop shot is to prevent your opposition from even returning it back over the net, you’ve still got to be prepared. After completely finishing the shot, I recommend taking a step or two back to the baseline. If they do manage to return it, chances are it could be going anywhere. Put yourself in a position where you’re not susceptible to an easy point. If they are successful in a return, you’re in a great position to hit a lob for a winner. This is most likely your best option with them being at the net, but you could always opt to power it through them. It’s your call! Nearly every sport I’ve ever participated in can be defined as a chess match. You always want to feel like you’ve got a hand up on your opposition. Tennis is no different. There are so many different shots that you can add to your arsenal to ensure you’re well-prepared. The drop shot is yet another possibility. Due to its unique nature, I don’t encourage hitting it too frequently. It should be a tool that you have in your back pocket to pull out when your opponent may be struggling to move around or even if you’re starting to get tired of strong groundstrokes from behind the baseline. The key is to not let them know what’s coming until you actually hit the ball. Don’t reveal your intentions until you’re ready to hit. Otherwise, they’ll cheat up and be given an easy winner. Just as it’s important for you to add a drop shot to your bag of tricks, you also need to be aware that your opponents may pull it out as well. My best advice for returning a drop shot is to give them some of their own medicine. After they hit the drop shot, they may retreat a step or two. Since you’ll be in a rush towards the net to try to get a racket on the ball, I encourage players to simply tap a short shot back over the net. Don’t give them time to think of the point-winning shot. Make an instinctive play and win the point yourself! As with every aspect of tennis, it is best for young players to get out there and work on their game. You can read all of the information and watch all the instructional videos you want, but until you actually practice these different shots, you can’t master them. The drop shot isn’t an incredibly difficult shot to learn. However, it does require correct timing and the intelligence required to understand when and where it can be most effective.